Bielefeld is located in the region of Eastern Westphalia (Ostwestfalen-Lippe or short "OWL"), the most northeastern administrative district in the federal state of North-Rhine Westphalia. Covering approximately one-fifth of the state, it has a population of more than 2 million inhabitants. Internationally known companies like Benteler, Bertelsmann, Claas, Dr. Oetker, Gerry Weber, Gildemeister, Melitta, Miele, Schüco, and Wincor Nixdorf are situated in Eastern Westphalia which makes it one of the strongest economic regions in Germany. With its population of 325,000 inhabitants Bielefeld is one of the 20 major cities in Germany and a large economical and cultural center in this region. It has a developed infrastructure and excellent connections by many means of transport to major cities in Germany. Bielefeld is situated near the Teutoburger forest, which makes it attractive to everyone, who likes outdoor activities. Bielefeld University was founded in 1969. It is known for its interdisciplinary high-quality research and teaching. It comprises 13 faculties, covering a broad spectrum of disciplines in the humanities, natural and technical sciences, social studies and pedagogics. There are around 20,000 students, among them 1700 international students, who study in 107 degree courses. In the next few years, the Bielefeld campus will be developed into one of the most modern facilities in Europe, offering an excellent environment for studying. The research profile of the university focuses on interdisciplinary studies. The Bielefeld University is mainly known for its strong sociology faculty, but in recent years cutting-edge research in robotics and biotechnology added strongly to its profile. The CeBiTec is a central scientific institution at Bielefeld University dedicated to interdisciplinary research in life sciences. It is a place to encourage and support the creation of innovative projects that cross discipline boundaries. For this purpose it consolidates research activities in the fields of biotechnology, molecular biology, genome research, systems biology and biochemistry, as well as bioinformatics and computer science. 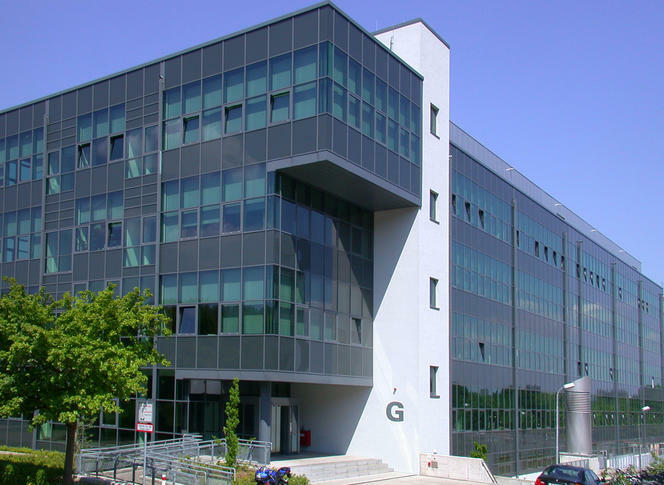 It is located on the campus of Bielefeld University, in the new laboratory building G inaugurated in 2007.